When it comes to unoriginal bands that sound exactly the same, the black metal underground is a bottomless pit. Every now and then, however, a project with new ideas in their music can be found – for example SPELL OF DARK, an ambient black metal solo project by Russian musician Vlad T. On the occasion of his last EP „Journey Into The Depths Of Winter“ we talked to the solo artist about his inspiration for the EP, his fascination for the cold season as well as his unusual vocal style. SPELL OF DARK is your solo project. What made you start creating music on your own? I always wanted to make music. It is my reflection, an expression of my thoughts, feelings and contemplations. Because I think I have something to say in music. When I didn’t find other members for making music, I began to make music on my own. Therefore, it has become so personal. In 2010-2011 I read about many one-man bands. Their histories inspired me and gave me motivation. You also play in a band called Doden Grotte. Where do you spot the advantages and disadvantages of being a sole musician compared to playing in a band? In my music project I feel more freedom and I am independent. But I need to create everything myself, record songs, create designs, do the promotion etc. Doden Grotte is a band with four members and four opinions. We need to understand each other. Sometimes it is difficult. But we support each other in many situations. 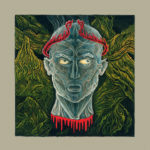 The music of SPELL OF DARK could be classified as black metal and ambient. Where do you take your musical inspiration from? The main inspiration is nature.. I live in a city, and I often can’t see nature without other humans. Nature is beautiful… I am also inspired by the relationships of people, legends, history, events of the past, madness, mind and dreams. What is, in your opinion, the main essence of your music? Beauty and the depth of thought. The artist’s contemplation and expression of all that through music. Your latest notable release was the EP „Journey Into The Depths Of Winter“. The songtitles and the artwork are quite wintery as well. Is this simply meant as an ode to the cold season or is there also another meaning behind the lyrics and imagery? Yes, this album is about the wintery season, about endless snow, that cover the fields to the horizon. This album is about my journey, after a long period of work (not musical). A travel after a depressive and sick period of my life… I looked at the snowy forests, frozen fields and rivers. And some things I can’t describe in English. The main meaning of the lyrics and images are my euphoric feelings and the worship of winter. And also regret and sadness, that all this has an end. What is your personal connection to winter and what fascinates you about it? Winter changes our world. It is majestic and merciless. It kills all living things with cold, but decorates everything around with the beauty of snow and silence. Only the wind breaks this peace. Winter is the end and it is the beginning. The artwork looks quite picturesque. Who created it and how did you come to using it as the cover of your EP? The artist, Gabriel Kondratenko, is a Russian painter. Yes, it is wonderful. I think it conveys a piece of cold and silence. I saw similar sunsets during my trip. My flesh was pierced by the cold, I realized that I was in a distant place, about which I know nothing. This feeling is unique. Maybe the creator of this picture experienced similar feelings, and if this was true, then winter unites us. Therefore, this picture is a picture of ancient beauty and echo of past days and I had to put it on the cover of the EP. You don’t use any screamed vocals on the EP, but rather a silent whisper. Is there a certain reason for that? Yes, it became my personal thing. I have a bad voice for screaming. I tried many variations of using my voice, and I like whispers more than other things. I think it is unusual and carries a lot of mystery. But I do want to do screams. Contrary to many other black metal bands, I feel like your music isn’t meant to be completely negative. Some songs even sound dreamy and peaceful. Would you agree with that? And if so, why is that the case? The EP was re-released through Northern Silence. Why did you choose this particular label for that matter? Thorsten messaged me with a proposal to re-release the EP. Northern Silence Productions is a very good label that has released many great albums. For the re-release of the EP you also added the ambient-like track „The World Of Unearthly Dreams“. How did it come to this? This is a special track for the release of Northern Silence Productions. A peculiar echo of the past winter days. A twilight sunset, when the sun is gone, and night comes to the world. You often release single standalone tracks. Is there a certain reason for you to handle it that way instead of just keeping these songs for whole albums? Yes, this is a good question. I often write singles, but I also write songs for a full-length album. I think that creating a new album sometimes takes a lot of time, and I want to give the listener new songs, new feelings. Maybe I’m doing it wrong. But I have something to say this way. The single is a small message, a reminder of the existence of SPELL OF DARK (laughs). „Eternity Somewhere There“ I wrote after receiving the photo, which a Russian traveler sent to me. He worked far from home, and every day he contemplated places I had never known. Only thanks to his photo I became a little closer to the unknown. You last full-length record „Ashes Of Forgotten Dreams“ was released in 2015. Do you already have a plan when you will come up with another whole album? Yes, of course. Now I have finished recording a new album called „Wastness“, which I think will be released this year on Wolfspell Records. SPELL OF DARK is probably meant to be a pure studio project, isn’t it? Or do you consider do live-shows sometime in the future? No, I have no plans for live shows. Now I’d like to go through our traditional Metal1.info-Brainstorming with you. What comes to your mind while reading the following terms? At this point I want to thank you again for this interview. Do you want to say a few last words to our readers? Thank you very much for the interview and for interesting questions. Sorry for not answering for a long time. Take care of yourself. To the readers – thanks for your interest in SPELL OF DARK, preserve nature, be sincere and listen to black metal. Der Black-Metal-Underground ist wie ein Fass ohne Boden, wenn es um einander bis ins kleinste Detail ähnelnde 08/15-Bands geht. Hin und wieder finden sich aber auch Projekte, die ein paar neue Ideen in ihrer Musik umsetzen – zum Beispiel SPELL OF DARK, das Ambient-Black-Metal-Soloprojekt des russischen Musikers Vlad T. Anlässlich seiner letzten EP „Journey Into The Depths Of Winter“ haben wir uns mit dem Einzelkünstler über seine Inspiration für die EP, seine Faszination für die kalte Jahreszeit und seinen untypischen Gesangsstil unterhalten. SPELL OF DARK ist dein Soloprojekt. Wie kam es dazu, dass du dich entschieden hast, im Alleingang Musik zu machen? Ich wollte schon immer Musik machen. Sie ist mein Spiegelbild, ein Ausdruck meiner Gedanken, Gefühle und Kontemplation. Weil ich glaube, dass ich mit der Musik etwas zu sagen habe. Als ich keine anderen Mitglieder für das Musizieren fand, begann ich, selbst Musik zu machen. Deshalb ist es so persönlich geworden. In den Jahren 2010 und 2011 las ich von vielen Ein-Mann-Bands. Ihre Geschichten inspirierten und motivierten mich.
Du spielst auch in einer Band namens Doden Grotte. Wo siehst du die Vor- und Nachteile von Soloprojekten gegenüber Bands? In meinem Musikprojekt habe ich mehr Freiheit und bin unabhängig. Aber ich muss alles selbst machen, Songs aufnehmen, Designs erstellen, die Promotion machen etc. Doden Grotte ist eine Band mit vier Mitgliedern und vier Meinungen. Wir müssen uns gegenseitig verstehen. Manchmal ist es schwierig. Aber wir unterstützen uns gegenseitig in vielen Situationen. Die Musik von SPELL OF DARK kann man als Mischung von Black Metal und Ambient bezeichnen. Woher beziehst du diesbezüglich deine künstlerische Inspiration? Die Hauptinspiration ist die Natur…. Ich lebe in einer Stadt, und ich kann die Natur nur selten ohne andere Menschen sehen. Die Natur ist schön…. Ich bin auch inspiriert von den Beziehungen der Menschen, Legenden, Geschichte, Ereignissen der Vergangenheit, Wahnsinn, Gedanken und Träumen. Was ist deiner Meinung nach die Grundessenz deiner Musik? Schönheit und tiefgründige Gedanken. Die Kontemplation und der Ausdruck all dessen durch die Musik des Künstlers. Deine letzte größere Veröffentlichung war die EP „Journey Into The Depths Of Winter“. Die Songtitel und das Artwork sind entsprechend winterlich gehalten. Vertonst du damit schlicht die kalte Jahreszeit oder steckt noch ein anderer Sinn hinter dem Thema? 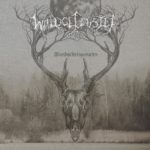 Ja, dieses Album handelt von der winterlichen Jahreszeit, von endlosem Schnee, der die Felder bis zum Horizont bedeckt. Dieses Album handelt von meiner Reise, nach einer langen Zeit der Arbeit (nicht musikalischer Art). Eine Reise nach einer depressiven und kranken Phase meines Lebens… Ich sah mir die verschneiten Wälder, gefrorenen Felder und Flüsse an. Und einige Dinge, die ich nur in meiner Muttersprache beschreiben könnte. Die Hauptbedeutung der Texte und Bilder sind meine euphorischen Gefühle und die Verehrung des Winters. Und auch Bedauern und Traurigkeit, dass all das ein Ende hat. Was genau ist dein persönlicher Bezug zum Winter, was fasziniert dich daran? Der Winter verändert unsere Welt. Er ist majestätisch und gnadenlos. Er tötet alle Lebewesen mit Kälte, schmückt aber alles mit der Schönheit von Schnee und Stille. Nur der Wind bricht diesen Frieden. Der Winter ist das Ende und zugleich der Anfang. Das Artwork von „Journey Into The Depths Of Winter“ sieht sehr malerisch aus. Wer hat es kreiert und wie kam es dazu, dass du es für das Cover deiner EP verwendet hast? Der Künstler, der es kreiert hat, Gabriel Kondratenko, ist ein russischer Maler. Ja, es ist wunderbar. Ich denke, es ist wie ein Stück Kälte und Stille. Ich habe während meiner Reise ähnliche Sonnenuntergänge gesehen. Mein Fleisch wurde von der Kälte durchbohrt, ich erkannte, dass ich an einem fernen Ort war, von dem ich nichts wusste. Dieses Gefühl ist einzigartig. Vielleicht hat der Schöpfer dieses Bildes ähnliche Gefühle erlebt, und wenn das wahr ist, dann vereint uns der Winter. Daher ist es ein Bild von alter Schönheit und ein Echo vergangener Tage, und ich musste es für das Cover der EP verwenden. Du setzt auf der EP eigentlich keinen Schreigesang ein, sondern trägst deine Texte ausschließlich flüsternd vor. Hat das einen bestimmten Grund? Ja, das wurde so eine persönlichen Sache von mir. Ich habe eine schlechte Stimme, wenn es um Screams geht. Ich habe viele Variationen des Gesangs mit meiner Stimme ausprobiert, und Flüstern ist mir am liebsten. Ich denke, es ist ungewöhnlich und birgt etwas Geheimnisvolles mit sich. Aber ich will auch mal Screams einsetzen. Im Gegensatz zu vielen anderen Black-Metal-Bands habe ich bei deiner Musik nicht das Gefühl, dass sie grundsätzlich negativ klingen soll. Manche Songs wirken sogar regelrecht verträumt und friedlich. Würdest du mir da zustimmen und falls ja, was ist der Grund dafür? Ja, ich stimme dem zu. Die Musik von SPELL OF DARK steht für seliges Vergessen und Frieden. Es ist wie ein Traum. Deshalb denke ich, dass die Nacht, die Einsamkeit und die Natur die besten Begleiter sind, um diese Musik zu hören. Ich habe mir sagen lassen, dass dies Musik zur Entspannung ist. Vielleicht ist es das. Für Dunkelheit und Hass habe ich Doden Grotte und Goatpreacher. Die EP wurde zuletzt über Northern Silence wiederveröffentlicht. Warum hast du dich gerade für dieses Label entschieden? Thorsten hat mich mit einem Vorschlag zur Wiederveröffentlichung der EP angesprochen. Northern Silence Productions ist ein sehr gutes Label, das viele großartige Alben veröffentlicht hat. Für den Re-Release auf Northern Silence hast du noch die Ambient-Nummer „The World Of Unearthly Dreams“ hinzugefügt. Wie kam es dazu? Dies ist ein spezieller Track für die Veröffentlichung über Northern Silence Productions. Ein eigentümliches Echo der vergangenen Wintertage. Ein Sonnenuntergang im Dämmerlicht, wenn die Sonne versinkt und die Nacht über die Welt kommt. Du veröffentlichst öfters einzelne Tracks. Gibt es einen bestimmten Grund dafür, dass du dir dieses Material nicht einfach für ein volles Album aufsparst? Ja, das ist eine gute Frage. Ich schreibe oft Singles, aber ich schreibe auch Songs für ein Full-Length-Album. Ich denke, dass die Entstehung eines neuen Albums manchmal viel Zeit in Anspruch nimmt, und ich möchte dem Zuhörer neue Songs und neue Gefühle vermitteln. Vielleicht mache ich es falsch. Aber ich habe damit etwas zu sagen. Die letzte Single ist eine kleine Botschaft, eine Erinnerung an die Existenz von SPELL OF DARK. (lacht) „Eternity Somewhere There“ schrieb ich nach Erhalt eines Fotos, das mir ein russischer Reisender geschickt hatte. Er arbeitete weit weg von zu Hause, und jeden Tag entdeckte er Orte, die ich nie gekannt hatte. Nur dank seines Fotos kam ich dem Unbekannten ein wenig näher. Dein letztes Full-Length-Album „Ashes Of Forgotten Dreams“ erschien 2015. Ist schon abzusehen, wann du wieder eine Platte in voller Länge herausbringst? Ja, natürlich. Inzwischen habe ich die Aufnahme eines neuen Albums mit dem Titel „Wastness“ abgeschlossen, das, wie ich denke, in diesem Jahr über Wolfspell Records erscheinen wird. SPELL OF DARK ist vermutlich als reines Studioprojekt gedacht, nicht wahr? Oder ziehst du Live-Shows womöglich sogar in Betracht? Nein, ich habe keine Pläne für Live-Shows. Ich würde nun gerne noch mit dir unser traditionelles Metal1.info-Brainstorming durchgehen. Was kommt dir bei den folgenden Begriffen in den Sinn? Nostalgie: Viele Momente meines Lebens. Zum Abschluss nochmals ein großes Dankeschön für deine Antworten. Möchtest du noch ein paar letzte Worte an die Leser richten? Vielen Dank für das Gespräch und für die interessanten Fragen. Entschuldigung, dass es einige Zeit gedauert hat, bis ich antworten konnte. Pass auf dich auf. An die Leser – vielen Dank für euer Interesse an SPELL OF DARK, bewahrt die Natur, seid aufrichtig und hört Black Metal.